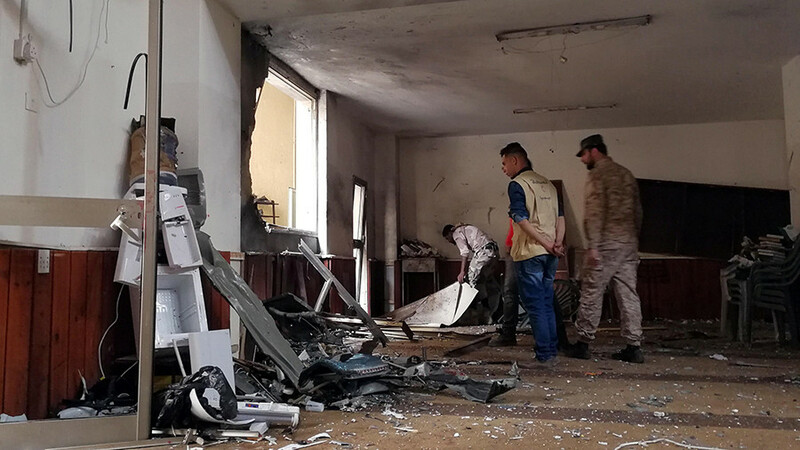 At least one person has been killed and dozens more injured following a double bomb attack at a mosque in Benghazi, eastern Libya, following Friday prayers. Late last month around 35 people were killed in two bombings at another mosque in the city. Local media are reporting that the bombing of the Abi Harira mosque in the Majuri neighborhood was carried out by an attacker with a bag of explosives. One person has been killed, according to local reports. A military source told Reuters that the devices appear to have been detonated remotely using a mobile phone. A hospital nearby said in a Facebook post that it had received more than 45 injured people, some of whom are in critical condition. The UN support mission in Libya condemned the “heinous” bombings, describing them as war crimes. UNSMIL strongly condemns the brutal bombings in alMajouri #Benghazi, the 2nd in Benghazi arnd a place of worship in <month. Reports of civilian casualties are deeply concerning. Direct or indiscriminate attacks agnst #civilians are prohibited under #IHL & constitute war crimes. The Mediterranean port town is Libya’s second largest city. It is controlled by the Libyan National Army (LNA), led by commander Khalifa Haftar. Haftar, who is seen as a potential contender in national elections, launched a military offensive in the city in 2014 following a series of bombing attacks. No group has claimed responsibility, but the blasts have been blamed on Islamist militants. The LNA has reportedly been targeted in several small scale attacks in recent months. Libya has been in turmoil since long-time leader Muammar Gaddafi was toppled by a NATO-backed rebellion in 2011.